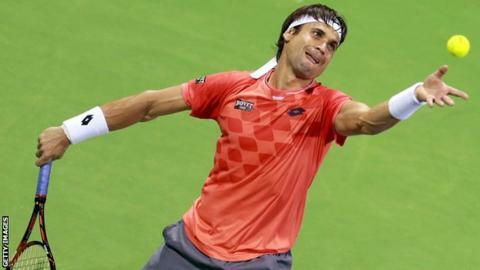 David Ferrer maintained his record of winning an ATP title each year since 2010 by beating Czech Tomas Berdych 6-4 7-5 in the Qatar Open final. The Spaniard, seeded fourth, clinched his 22nd career crown in Doha and his first under new coach Francisco Fogues. "In important points I got a little bit lucky," said Ferrer, 32, who had emerged from a gruelling three-set semi-final against Ivo Karlovic. "It is never easy to begin the season winning one tournament." Berdych had not lost serve in 34 games, but the third seed was broken in the first game of Saturday's final. He recovered to earn three set points on Ferrer's serve in the 10th game but failed to take advantage and was broken after double-faulting in the 11th. "It's been a very solid week," said the 29-year-old. "I was not able to execute the right way, but I think it's a good start for me."